Earlier today, in an attempt to see if one forum member was using two accounts, I tried to figure out how to look up IP addresses through the admin panel of our forum. I could only figure out how to check the IPs of those currently logged in, so since Mercedes was the only one on the forum besides guests, I checked hers. Weird, eh? 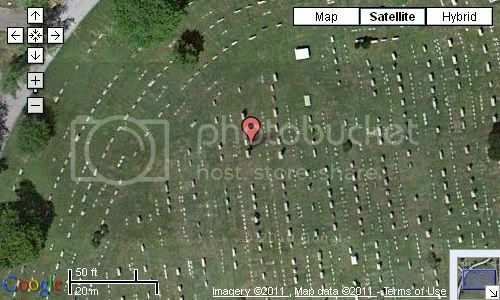 So I did a little investigating. (Again, for research purposes only.) 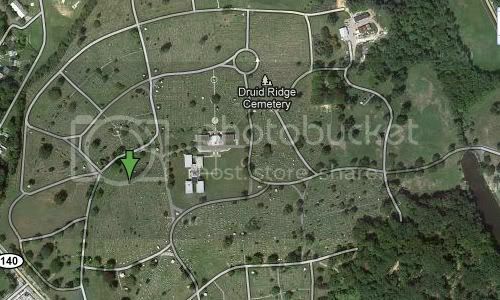 Upon further inspection, it appears that Mercedes lives under a plot on the western side of the Druid Ridge Cemetery in Pikesville, Maryland. Can’t say I’m surprised, really. In fact, a lot of things about her are much clearer now. It definitely explains the smell. But we wouldn’t trade her in for anything.